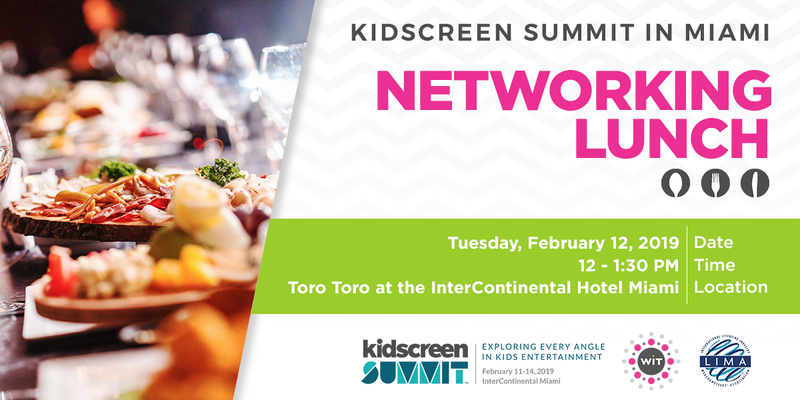 WIT and LIMA are joining forces to host a fun and casual networking lunch during Kidscreen Summit in Miami. This popular annual event is open to all WIT and LIMA members, non-members and Kidscreen attendees. Catch up with friends and colleagues and make some great new connections too! Ticket price includes a delicious lunch buffet (including dessert), sangria and non-alcoholic beverages.